Two Tales Press, 9780996527309, 296pp. Ten years of thrills. Two brand-new stories. One hair-raising collection. For the past decade, New York Times bestseller J.T. 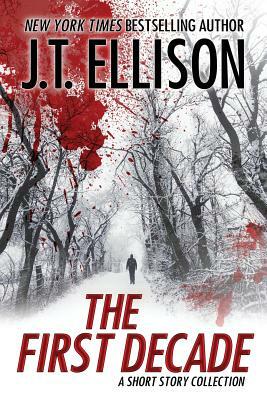 Ellison's thrillers have kept readers worldwide peeking into dark corners and double-checking their locks at night--just to be on the safe side. Now, ten years of suspense are packed into one stellar short story collection, available for the first time in print. From an unpredictable, love-stricken stalker, to a bad-girl best friend who pushes the limits too far, to a ghost seeking blood on a wedding day, these small bites from Ellison are an eclectic bunch with razor-sharp edges. Including two never-before-seen stories, THE FIRST DECADE will leave you wondering where trouble lurks long after you read "The End."